Nerds know comedy. And nerd girls are no different. This week, SPEW podcast episode 4 has hosts Shelby and Jesi talking about their favorite comedians and comediennes. Hear them discuss who their favorites are and why, and learn a little bit more about where they get their strange sense of humor. Also in episode 4: Jesi and Shelby dish on the latest nerd news! They give their takes on Suicide Squad, Through the Looking Glass, and Teenage Mutant Ninja Turtles II. Episode 4 is all about epic comedy and nerdy news! Click the video to get your weekly fix! Is this the first you’re hearing SPEW? Check out episodes 1 – 3 right here at Love Your Rebellion! Episode 1 gives listeners insight into the hosts’ nerd girl origins, and episode 2 fills listeners in on the hosts’ feminist origins. Episode 3 lets the hosts’ reminisce about their experience at Megacon 2016 in Orlando, Florida. 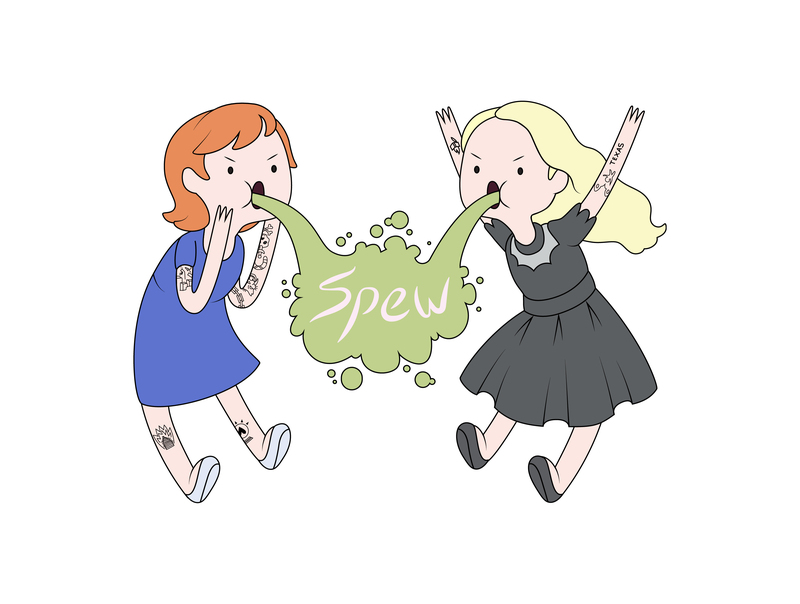 Check out all the SPEW podcast episodes for more fun, female perspectives on nerd and geek culture! That’s something you can hardly get from anywhere but SPEW.